In a world where people live longer (at least in the Western world) and where socioeconomic inequalities are increasing (everywhere), one of the major concerns of public health care is ensuring good health for everyone. Can art contribute to quality of life and health promotion? 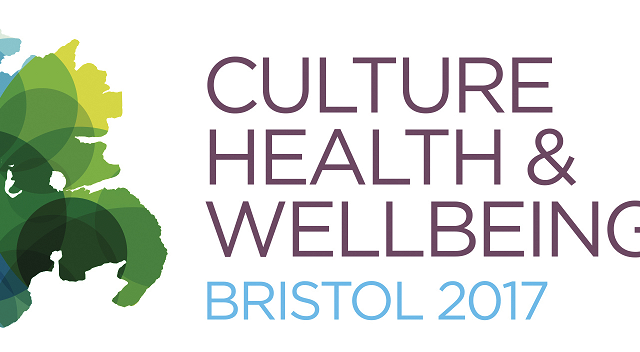 The Bristol Culture, Health and Wellbeing International Conference (June 19-21, 2017, www.culturehealthwellbeing.org.uk) answered decisively yes and presented nearly a hundred best practices worldwide – from England to Norway, from Australia to all India, from Rwanda to Canada, from the US to Singapore- and with scholars, politicians, health professionals and artists discussed the implications of art in health promotion, health care and the innovation that the art and health binomial can produce in cultural programming (from museums to performing arts). A universe rich in moral passion, experimental rigor, creativity and resilience that, having as reference with the WHO Ottawa Charter on health promotion (www.who.int/healthpromotion/conferences/previous/ottawa/en/), focused on ‘social connectivness’ as a protective factor and a big asset in individual and community health. 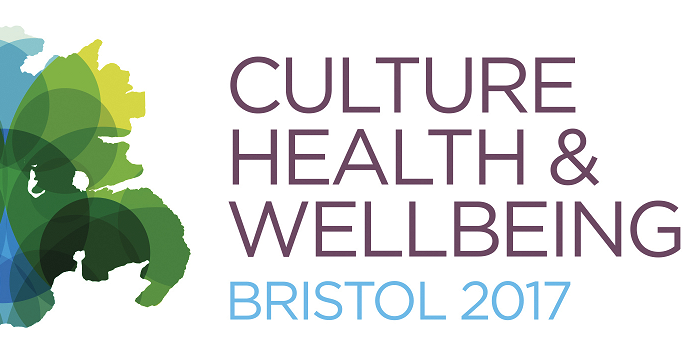 The CHW International Conference in Bristol referred to the results of the inquiry launched by the All-Party Parliamentary Group of Arts, Health and Wellbeing in collaboration with National Alliance for Arts , Health and Wellbeing and King’s College in London (www.artshealthandwellbeing.org.uk/appg-inquiry/). “Mutuality and community policies require empathy, sense of closeness and responsibility for each other,” says Lord Howarth of Newport, co-director of the UK’s Interparliamentary Group on Arts, Health and Wellbeing, and “art develops innovative ways of thinking, opposing therfore mental illness and social malaise that 2 arise in multicultural societies from cultural misunderstanding.” Creative and cultural activity, especially as users -when it involves the recipients as active participants in the creative process- impacts on mental well-being, motivation to live, coping skills, and therapeutic alliances; builds environments conducive to mutual help and stimulates salutogenic behaviors. The number of international experiences presented in Bristol includes action and research projects that use different arts -from music to singing, from theater to dance, from craftwork to narration-, that address different recipients -from seniors to young people, from citizens of urban areas to war-affected populations, medical students to war veterans- and involving different institutions -health organizations, museums, universities, theatre companies, private foundations, etc. The background models range from art therapy, creative animation, therapeutic complementarity between artists and health organizations to some very innovative experiences that, bypassing the technical functionality of art to cure or promote health, imagine conceive and realize hybrid interventions with a strong transdisciplinary, multiprofessional and community based dimension. Among them The Dharavi biennial in Mumbai (www.dharavibiennale.com): a project created by Dr. Nayreen Daruwalla, head of the SNEHA Women and Children Prevention Program.Working on 4 key words (health, art, community, recycling) The Dharavi biennial deals with 20 different local health problems (from breast cancer to air pollution, from alcoholism to nutrition, from violence to access to health) with the involvement of photographers, designers, artists and many health scholars who work directly with the local community. Anglo-Saxon Europe, however, came up with stimulating examples, even with qualitative quantitative assessments, on projects that large museums such as the Van Gogh Museum in Amsterdam or small ones, such as the Fitzwilliam Museum in Cambridge or the Pitt Rivers Museum in Oxford, are developing for older people – even with dementia – or for frail adult people. In many cases, they are people who enjoy cultural offerings as part of the care provided for them: the phenomenon takes the name of social prescribing -that is the indication of social activity as part of the recovery therapy for a patient. The suggestions that the educational areas of museums or those responsible for cultural heritage are imagining are beside the vision of an exhibition or visit of a relevant site of local cultural heritage and are structured in workshops with weekly frequency in collaboration with health, social workers and sometimes anthropologists with particular attention to work on the connection between experience of personal life and local historical identity, between imagination and memory. The welfare of the elderly is increased both because of the socialization promoted and the cognitive stimulation activated, but also because of the newly found belonging to a community and cultural identity. If hip-hop dance and contemporary dance are particularly interesting in preventing and rehabilitating the fall of older people, as evidenced by research conducted by 3 Astill of the University of Leeds and Philip del Barts Health NHS Trust, many projects of theater – from Norway to South Africa – are effective with boys and young people in the prevention of risk behaviors – from suicide depression to substance use – or in resocialization of diabetic patients, as shown in the brilliant Blood Theater performance in Bristol. Life-based Blood Sugar was born from a collaboration between Witwatersrand University in Johannesburg and the Chris Hani Baragwanath University Hospital in Soweto. The last day of the conference was devoted to major cross-cutting issues: from ethical issues to sustainability, from research methodology to accessibility to the issues of measurement and evaluation. In this framework, the Caravan Next. Feed The Future project (Creative Europe 2016-2019, www.caravanext.eu) realized by Odin Teatret (lead partner) and SCT Center (methodological partner) along with 11 international partners was presented as a European best practice. The project, introduced by Alberto Pagliarino -cocreator, artistic coordinator and member of the SCT Center of the University of Turin – is based on the methodology of Social and Community Theater born in Piedmont and developed with a particular attention to health promotion together with the School of Medicine of Turin. The variety of recipients involved – from traditional artistic group to women refugees, form hospitalized children to disabled people, form young people to elderly, etc. – and the breadth of the European champion (the threeyear project involves 11 countries and dozens of thousands of citizens) have aroused great interest in the public, which particularly appreciated the capacity of the project to combine community development, health promotion and artistic quality.